A few weeks ago, I sent out an email to my list of Insiders breaking down Mary Meeker’s Digital Trends Report for 2016. No one predicts trends like Mary does, but I’m excited for the opportunity to tell you what I’m seeing from my spot here in the trenches. Here’s what I’m seeing right now in digital marketing – and what I think is coming next. Mobile is getting more relevant every day. According to the Global Web Index, 80 percent of Internet users own a smartphone, so the more you can focus on mobile, the better. Your site must be optimized for mobile if you want to keep your customers – meaning, it should display properly, load quickly, and all functionality should work as expected – and you should be putting time into developing a full-blown mobile strategy. That might mean a mobile app, service, or integration – or something else entirely, depending on your industry. A business that’s not investing in mobile today is a business that won’t be around tomorrow. Big data is important even for small companies. Actually, it’s not even big data that matters – it’s smart data. And that means that it isn’t enough to be collecting data, you have to actually do something with the information you have. By making data just 10% more accessible, the typical Fortune 1000 company can see a $65.7 million increase in net income. So, yeah, you absolutely need a data scientist on board, and that person needs to be able to understand the numbers and translate them for everyone else in your company. If your bounce rate jumps 15 percent in a month, your data scientist needs to sit down with your designers, writers, and programmers to figure out why. Is the site loading too slowly? Is the content not meeting expectations? Is it too hard to figure out what to do? We’ll also see more of an emphasis on real-time data, which is a huge opportunity for businesses to respond to consumer demands immediately, enhance the user experience, and improve retention rates. When you have the right team and tools in place to immediately notice that no one wants those green shirts, but the red caps are flying out the door, you can adjust your inventory so that no one leaves your site disappointed. Smile, you’re on camera. Live video streaming may have started out as a bit of a gimmicky plaything, but it’s quickly become an important part of a comprehensive digital marketing strategy. Even old school brands such as [something and something] are using live video streaming to [do something] and [something else]. In addition, creating videos for a YouTube channel is also increasingly important. YouTube is currently the second-largest search engine behind Google – and YouTube reaches of the covete﻿﻿d﻿﻿ 18-49 year old demographic than any American cable network. Do you want those eyeballs? I’m betting you do, which means that your company needs to maintain a video presence. The new SEO is very different from the old SEO. Trying to keep up with ever-changing algorithms had people racing to throw money at so-called SEO experts in the past. Typically, the “strategies” they employed were underhanded at best – and the results only lasted until Google tweaked its algorithm a bit, leaving desperate business owners racing back to the SEO experts with even more money in a truly vicious cycle. Fortunately, the days of black hat SEO are all but behind us, thanks to updated, intelligent systems that can weigh visual content, including videos and infographics, along with keywords. Yes, there are technical things you can do to help rank for certain keywords. But a better strategy is the one where you put your time into creating truly valuable content for your users and hire a true SEO professional who understands the nuances of smart SEO. If you do that, you can spend much less time worrying about how a single algorithm update will affect your rankings and results. Content is still king. You absolutely need to invest in content. More content – and more importantly, better content. Content that provides enormous value to the user, that tells a genuine story, and that connects with users on a personal level. And remember that content doesn’t only mean words. Videos, graphics, and audio files are all content, and the best content starts with stories that cause an emotional reaction in the user. It’s hard work to create all that content, which is why curated content is currently huge – and it’s only going to get bigger. I believe we’ll see many more companies using a mix of curated and original content to engage users throughout every stage of the marketing funnel. In particular, I’m especially excited about the opportunities for curated learning paths, which are already helping to bridge the skills gap and enabling new hires to actually do the work that needs to be done. People love personalized user experiences. You should know how a user behaved last time he visited your site, and apply that knowledge to his next visit to create a truly custom experience. And don’t forget that Jane is still Jane whether she’s using her phone, tablet, or laptop to access your site, so you should recognize her in all of those places and create a consistently awesome experience no matter where she is. In 2015, under 40% of retailers were sending personalized product recommendations to users, and I’m certain we’ll see that number increase sharply. Explore ways to let your users determine how and when they want to connect with you, consume your content, and buy your products by broadening your reach across channels. Expect to see more brands encouraging mobile use with beacons that offer incentives for customers when they’re out and about. Social media matters a lot. Perhaps the biggest, most important trend in digital marketing is the force with which all forms of social media are constantly impacting the decisions marketers make. Quora, the social ask and answer platform, has just launched an advertising platform, which means we’re going to see growth opportunities (possibly via embeds, similar to YouTube) in the coming months. YouTube continues to dominate the social world, as I mentioned earlier, and Snapchat just keeps growing. Musical.ly is a force to be reckoned with. My kids cannot get enough of it, and I’ve even starred in a few music shots! For the right brands, Instagram and Pinterest can be a gold mine. Have you looked at Instagram’s analytics lately? It’s not just for teenagers anymore – and with the Facebook tie-in, the advertising potential is HUGE. That said, all is not rosy in the social media world. It’s harder and harder to get a decent ROI from Facebook ads. Twitter just can't seem to get it right, although I love their platform and hope that they can turn it around. Jack, if you’re reading this, DM me. I have some ideas for you! LinkedIn is, unfortunately, just not a resource in which people are willing to invest their time. It has enormous potential, in particular with their acquisition of Lynda.com, but the ad platform and audience currently leaves a lot to be desired. Expect some shakeups in the social media world in the next year…. Go native with your advertising. The increased prevalence of ad blockers has definitely caused a shift in the way marketers think. Native advertising, particularly in the podcast world, have seen huge success, and I suspect we’ll see that model start to enter other channels as well. In general, ads should always be tightly integrated into your overall strategy in order to be effective. The upside is that the move to native ads might force Google to step up their targeted ad game to match Facebook’s offerings – Google certainly has the data to do it, but they haven’t put the time into developing the ad interface. Maybe they will now. Do you want to be an Insider? Sign up today. Buckley Barlow is the founder of In The Know, a growth marketing learning hub where you can gain the relevant knowledge, learning, and training needed to make a quick and sustainable impact in your career, your teams and your organization. IN THE KNOW is an innovative learning hub where we publish and curate (find, group, organize and share) trusted content for those who are tasked with growing an organization. You’ll find personally curated content in different learning formats (i.e. books, blogs, videos, podcasts and courses) across a variety of topics related to growing a business. Both strategic and tactical, the goal is to source and share relevant and actionable information to help you stay ahead of the curve while saving you tons of time and money. 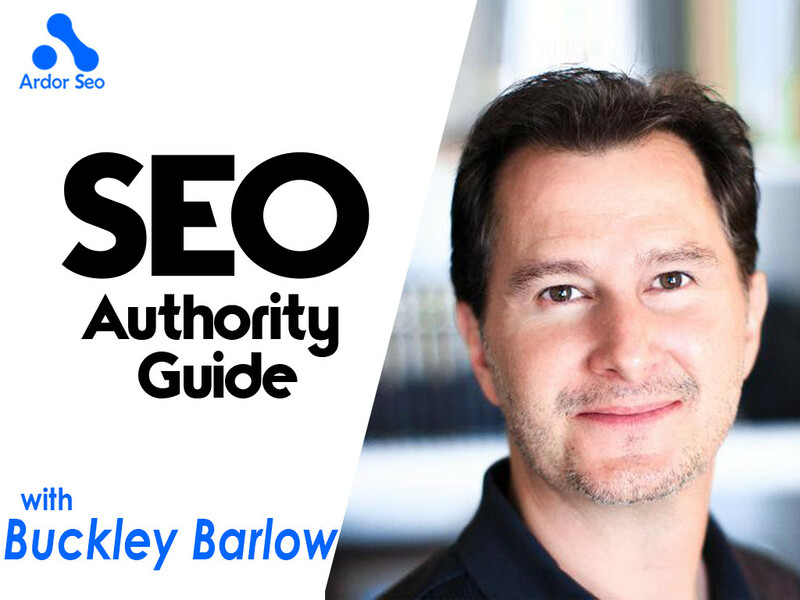 Buckley Barlow is the founder of IN THE KNOW, a growth marketing education and learning hub geared to help those tasked with growth gain the relevant knowledge, learning and training needed to make a quick and sustainable impact in their career, their teams and their organization. 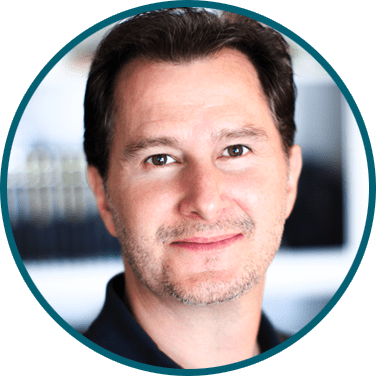 He is the host of the IN THE KNOW podcasts where he dives in with leading growth professionals, marketers, entrepreneurs, strategists, consultants and technologists to explore specific strategies, tactics, tools, and systems used to drive incredible results. Buckley’s first experience with hyper-growth (and economic bubbles) came when he was recruited as an early team member to STSN, the 3rd fastest growing tech startup in the nation behind Google, whose revenues grew from $51,000 to just over $60mm in a few short years. He has worked with Apple, Microsoft, Toyota, Nestle, HP, American Express, Marriott, and Carlson-Wagonlit. As an entrepreneur, Buckley has co-founded and exited multiple companies. As a consultant and active investor, he rolls up his sleeves to help organizations build, implement, and optimize growth marketing models. In addition to his work at In The Know, he often advises emerging companies as Head of Growth/Marketing. Buckley is happily married to Charlotte with whom he has two wonderful little girls. His personal creed is, “People first.” Naturally curious with an insatiable appetite for learning, Buckley is equally at home traveling the world, skiing, scuba diving, composing music, or in the kitchen with a bowl of Frosted Flakes, the ultimate comfort food. At the end of the day, Buckley is deeply committed to his family and strives to make a difference in the lives of others.